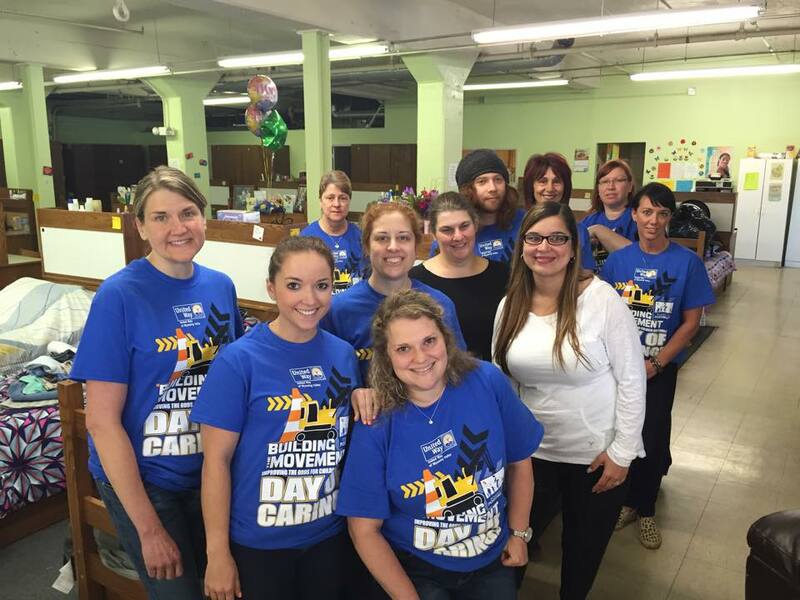 Day of Caring makes difference to 56 charitable organizations. 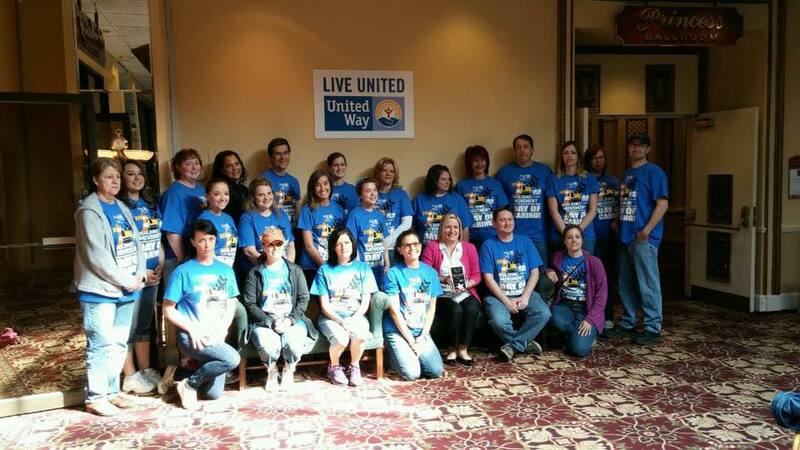 For more than 20 years, the United Way of Wyoming Valley has sponsored an annual Day of Caring. Annually, hundreds of representatives of business, industry, education and healthcare come together as volunteers, roll up their sleeves, and set to work helping nonprofit and charitable organizations throughout the Wyoming Valley area of Northeastern Pennsylvania with projects that their limited budgets can’t cover. Since 2009, Benco Dental, the nation’s largest privately owned dental distributor, has invited associates of the company to participate in Day of Caring during their workday. At the event’s 2015 opening breakfast, Thursday, May 14, members of the Benco Dental family joined nearly 640 volunteers at Best Western Genetti Hotel & Conference Center in downtown Wilkes-Barre, where Bill Jones, United Way of Wyoming Valley CEO, shared the organization’s goal of combating childhood poverty. Before they headed out for a day of volunteerism, the battalion in blue (participants received blue T-shirts bearing the credo: “Building the Movement – Improving the Odds for Children and Families”) learned from Jones (shown above, left) that one third of all children in the Wyoming Valley – more than 11,500 – are living in poverty. The United Way’s yearlong efforts, including the Day of Caring, support agencies that assist those young members of the population and their families. During the breakfast program, organizations were recognized for their support of the United Way’s 2013-2014 Community Campaign, Benco Dental among them. Benco Dental associates participated in the May 14 United Way Day of Caring at Ruth’s Place, with Director Kristen Topolski, at center, and Ruth’s Place Volunteer Coordinator Raquel Maldonado, at right. Ruth’s Place, a Volunteers of America program, provides safe, temporary and short-term emergency shelter for women experiencing homelessness, while honoring the dignity of each guest. Immediately following the opening program, more than 850 volunteers from 56 organizations took part in the 23rd Annual United Way of Wyoming Valley Day of Caring. Those volunteers fanned out to complete 52 community projects across the Greater Wyoming Valley. They provided their elbow grease and muscle to help 36 local agencies. An estimated 5,000 volunteer hours were dedicated during the Day of Caring, for an estimated donation value of $115,000 in services. According to Benco Dental Talent Specialist Florence Marchesano (shown at top, right), 26 Benco Dental associates took part in the Day of Caring efforts. Their day included cleaning and painting at Volunteers in Medicine in Wilkes-Barre, which provides medical and dental care to low income families of Luzerne County who otherwise have no access to care, and cleaning, weeding and gardening at Ruth’s Place, a Volunteers of America program which provides safe, temporary and short-term emergency shelter for women experiencing homelessness in Luzerne and Lackawanna counties, while honoring the dignity of each guest. For details about the United Way of Wyoming Valley Day of Caring or to support its efforts, visit: http://www.unitedwaywb.org/day-of-caring.html. According to Benco Dental Talent Specialist Florence Marchesano, 26 Benco Dental associates, shown, took part in the Day of Caring efforts. Their day began at Genetti’s Hotel and Conference Center, Wilkes-Barre, PA, and included cleaning and painting at Volunteers in Medicine in Wilkes-Barre, and cleaning, weeding and gardening at Ruth’s Place, a Volunteers of America program which provides temporary shelter for women experiencing homelessness. What does it take to make a practice thrive today? Ever wonder why Sofia Vergara has an amazing smile?